The property was very nice!! Comfortable and close to the downtown area and French Quarter! Would stay again! Streetcar passes right in front of the property, so you can hop on and off easily. I loved the whole place! Convenient location to what I wanted it for! Very impressive!!! The location was perfect. The apartment was very clean. The staff answered any questions I had very promptly. The property is just like the picture. Nice high ceilings and spacious. Clean and has washer dryer so you can do your laundry. 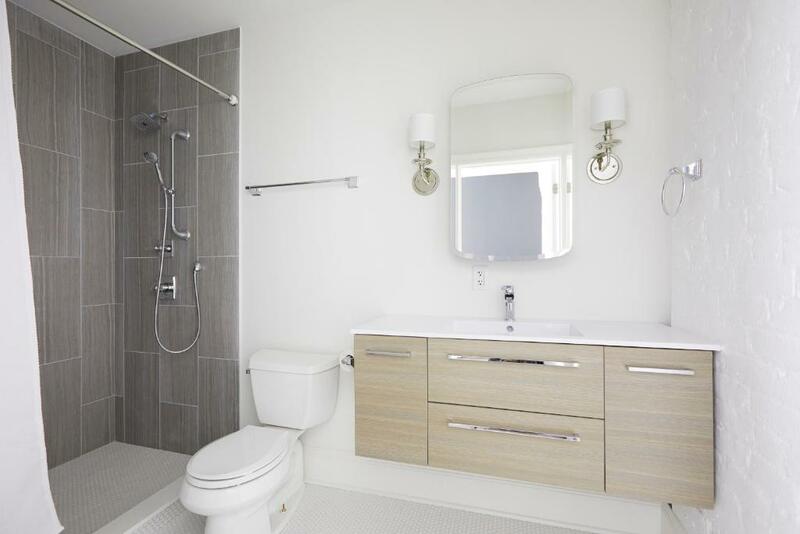 Well appointed furnishings, upscale finishes...loved closet space and rooftop!! Great apartment, great location. 5 minute walk to the French quarter and more! Great mattress and had enough pillows, clean, great location and very responsive when texting. The furnishing and supplies were well thought out, most things we needed were provided. Nice size TV but no extra channels such as ESPN or movies. Will definitely look for Sonder first when we travel, have recommended to many friends and also had friends rent a unit while we were in NO at same location. Walk out to streetcar and good restaurants was wonderful, very convenient and felt safe. The location is great, just off the French quarter but not in it. Trolley stops really close by. The decor is design elegant even if very basic and store-bought (West Elm, ...) Everythjng is new and toiletries from Jonathan Adler a nice touch. Kitchen was fully equipped even though we did not use it except for tea. 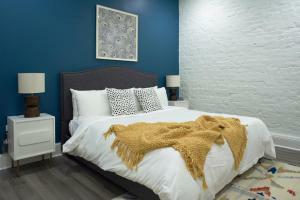 Lock in a great price for Sonder — Lafayette Square – rated 9.3 by recent guests! 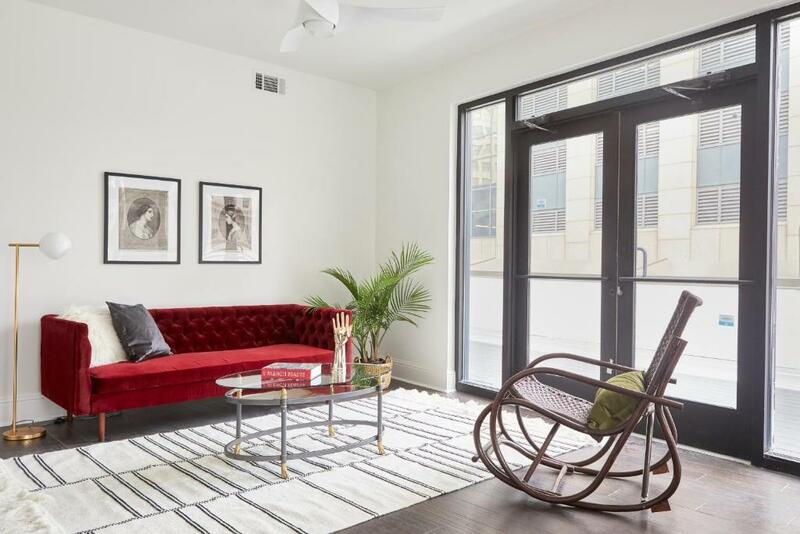 Sonder — Lafayette Square This rating is a reflection of how the property compares to the industry standard when it comes to price, facilities and services available. It's based on a self-evaluation by the property. Use this rating to help choose your stay! One of our best sellers in New Orleans! Located in the Downtown New Orleans of New Orleans, less than 0.6 mi from Bourbon Street and an 18-minute walk from Mercedes-Benz Superdome, St. Charles Elegant Suites by Sonder features accommodations with free WiFi. St Louis Cemetery No 1 is 0.9 mi from the aparthotel, while Morial Convention Center is 1 mi away. The nearest airport is Louis Armstrong New Orleans International Airport, 16 mi from the property. Downtown New Orleans is a great choice for travelers interested in seafood, cafes and street performers. This is our guests' favorite part of New Orleans, according to independent reviews. This property also has one of the top-rated locations in New Orleans! Guests are happier about it compared to other properties in the area. This property is also rated for the best value in New Orleans! Guests are getting more for their money when compared to other properties in this city. 뀐 Located in the real heart of New Orleans, this property has an excellent location score of 9.8! When would you like to stay at Sonder — Lafayette Square? This suite features a dining area, oven and sofa. This suite features a dining area, washing machine and air conditioning. This suite features air conditioning, dishwasher and kitchenware. 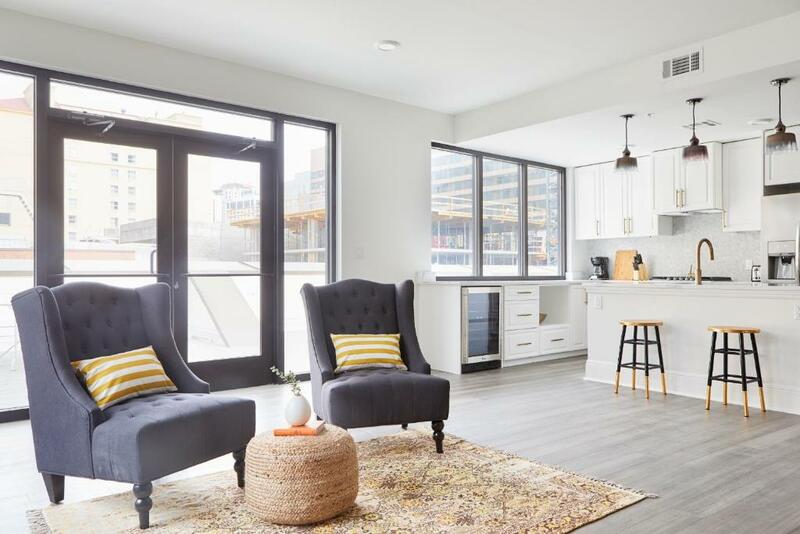 At Sonder Lafayette Square, you'll love the New Orleans inspired decor, spacious living rooms, and fully-equipped kitchens with stainless steel appliances and ensuite laundry. Located in the Central Business District, known for its wonderful restaurants and bars, you're just a few blocks from Canal Street. There's plenty to offer within walking distance. For some of New Orleans' best dining options, try August for an elegant French fare, or Criollo for delicious Creole with a revolving carousel bar. Take a visit to Woldenberg Park, which features great views of the Mississippi River. To explore the rest of the city, head to St. Charles at Union and grab a streetcar. The Central Business District is a dynamic urban center with a colorful architectural history. This neighborhood is not only a central location for business travelers--it's also home to history and art museums and the Mercedes-Benz Superdome. Area Info – This neighborhood is a great choice for travelers interested in seafood, cafes and street performers – Check location Excellent location – show map Guests loved walking around the neighborhood! 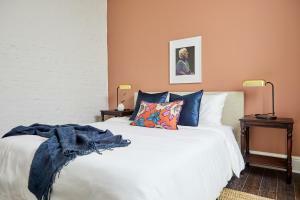 House Rules Sonder — Lafayette Square takes special requests – add in the next step! Sonder — Lafayette Square accepts these cards and reserves the right to temporarily hold an amount prior to arrival. After confirmation, Sonder will reach out to guests through a secure link to gather some information regarding the guests stay. Sonder may require the guest to provide a photo of their government issued photo ID. Guests will receive check in details from property management 3 days prior to arrival. New Orleans Vacation Rental License No. : 18STR03052. Please note that due to new development, guests may experience some construction noise. 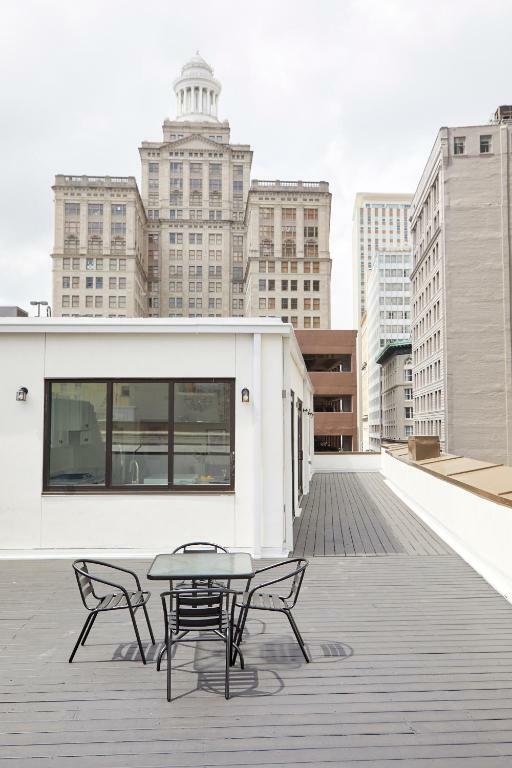 This Sonder is located on a busy street of a streetcar line, you may experience frequent noise from operating streetcars and late hours of nearby restaurants and bars. Please inform Sonder — Lafayette Square of your expected arrival time in advance. You can use the Special Requests box when booking, or contact the property directly using the contact details in your confirmation. Please note that check-in and key collection take place at: 301 St Charles Ave, New Orleans, LA, United States, New Orleans 70130. I never received invoice and arrived at the location without the ability to get into my room. I wasn't aware it wasn't a Hotel but a apt rental out of Massachusetts and had to have Passport and License available to prove identity. Thank God I had with me. Also they use keypads for locks. It was a little nerve racking to know my 12 year old new the code before they emailed me it. He watched people getting into building. Also no parking! Location is right off strip near Canal. Beautiful room. Full kitchen and washer and dryer. The apartment was very nice, much better than usual. two big bedrooms, very large living area. Very good access and security. Kitchen facilities were adequate, about average. We thought very well located . Close but far enough away from the busy but loud French quarter. No bag storage. Minimal windows, the place was like a bunker and very secluded feeling. Clean place. Easy to check in. 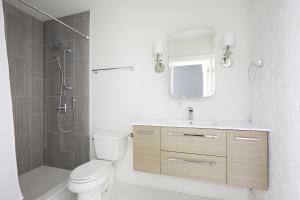 The shower in the master bath doesn’t have anywhere to place the bar of soap or shampoo bottle while showering. No big deal but sort of an oversight I guess! Very bad water pressure in bathroom, no full length mirror, and you were able to hear people in above apartments walking around. Amazing location, large space in rooms and awesome having a self contained apartment. Trash chute became a trash room. Smelled the whole hall up. The beds were a little too firm for me but I was too tired to let it really bother me. Getting in the front door the first time was difficult. Location was great, spacious suite, comfortable. Directions on how to get to the entrance door. The size and decor was very nice. The apartment was well equipped and comfortable. 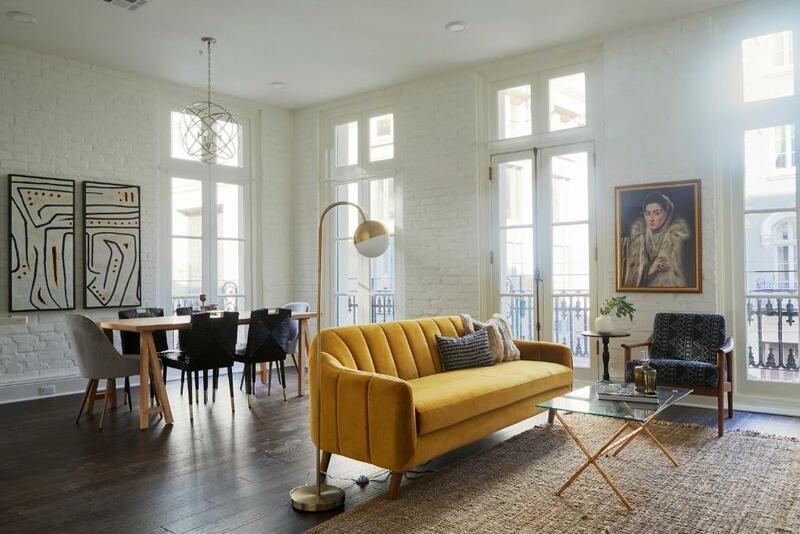 Location was excellent, on the edge of the french quarter in the CBD. Close to restaurants and shops.